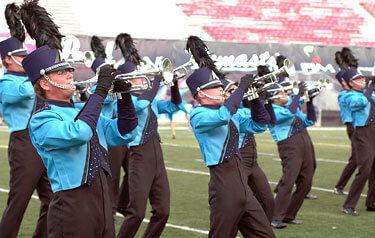 Three Drum Corps International sanctioned events presented by the Friends of Spirit in June and July are now on sale. Spirit from JSU will perform as part of all three of the following events. Ticket prices: Prices range from $12 to $20. Tickets for groups of 25 or more cost $8. View more information about the Atlanta Brass Classic and order tickets. Ticket prices: Prices range from $12 to $20. Tickets for groups of 25 or more cost $8. View more information about the Alabama Battle of the Brass event and order tickets. Ticket prices: Prices range from $10 to $25. Tickets for groups of 25 or more cost $8. View more information about the Spirit of America event and order tickets.